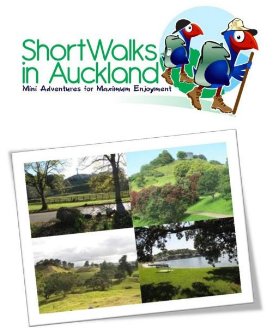 We’re so glad you have found us and hope you are enjoying what we provide at greataucklandwalks.com. So – who are we, where are we based, what is our purpose and why are we doing it? These are so often questions we have of people offering information and services on the internet. Actually – the website has been the brainchild of Richard Wagener and he has built it from scratch using the skills he learned at an online training community called Wealthy Affiliate. I was a relative novice and had tried building another site a couple of years ago about flying with young kids. After I had built a reasonable site I ran into all sorts of problems and in frustration searched for a better platform, with more training and tools. I found Wealthy Affiliate and 2 years later have been able to design and construct a site like greataucklandwalks.com from scratch. 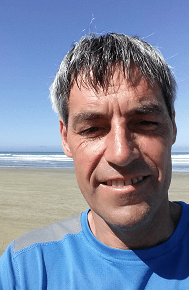 I am married with four children (aged 4-10 years old) and work out of home as a house dad, volunteer worker, church leader, website builder and sports coach. I live with my wonderful family in Golflands, East Auckland. I complete the website development from home but travel all around Auckland walking & running tracks to add to the website. I have lived in Central Auckland and also the North Shore for many years. Our purpose is simply to bring as much useful information on as many tracks around Auckland as possible. We are committed to using technology to make walking a better experience for everyone. Our desire is to have walks that cater for every type of person or group who wants to experience the great outdoors Auckland has too offer. Partnership is also vital as there are many existing people, organisations and councils who already have a lot of resources. Our goal is to ensure where their resources add value, that you as the walker gain the best possible access to this information and their services. The original motivation came from wanting to put my father-in-laws North Shore Tracks online. 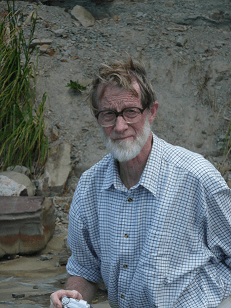 Hugh Willis has built, developed, enhanced and maintained numerous tracks over the past 46 years and we wanted to honour him and ensure his legacy is there for all to enjoy. This is the reason the first tracks added on this website are his, even if many people may not even be aware of them or live in other parts of Auckland. The vision grew from there to see if we could build a website that enables people to search for tracks that fit a certain criteria so they can find a great Auckland walk according to their desire. There are a number of really good walking sites out there but I felt there was a gap as far as making use of the great technology we have available today – especially Google Maps and the power of the GPS. The ability for people to walk in the bush, always knowing where they are, the progress they are making, major features and entrance and exit points seems to be desirable and achievable. Hopefully this website will encourage more people to get outdoors and explore the green areas in our great city. Hopefully we will see more families and friends enjoying time together. Hopefully we will see people staying fitter and healthier. We are hoping these are all great bi-products of this site. Of course if the site becomes popular, the opportunities are also there to make a few dollars through relevant advertising and product sales so the site can grow even further. This would be a bonus but was not the motivation – the site will continue to grow regardless. It just may enable us to grow faster and do a few other cool things! I trust this provides some insight into us and greataucklandwalks.com. Please feel free to leave any comments or questions below and I will get back to you. I'm a family man who loves to enjoy the outdoors with my wife and 4 kids. I have spent years walking and running some of the wonderful tracks around Auckland and New Zealand .This website has been put together to help others enjoy the amazing array of walks we have in the Auckland Region. Further, we wish to honour the track-building work of my father-in-law, Hugh Willis who has spent thousands of hours since 1969 preserving, building and maintaining tracks on Auckland's North Shore.